Resuming its important Henry J. Reilly Scholarship program, ROA has awarded ten $2,500 scholarships to scholars entering both undergraduate and graduate studies this coming academic year. The applicants, members of ROA or direct family members, were scored on academic excellence, extracurricular activities and leadership, recommendations, and an essay. The winners were selected from a total of 48 completed scholarship applications submitted through an ROA-branded web portal and received by International Scholarship and Tuition Services, the well regarded company ROA contracted to manage the process. Final application judging was conducted by a panel of ROA members chaired by retired USAR Lt. Col. Milton Houghton, Ph.D., who is ROA’s Army National Executive Committeeman; the panel was drawn from ROA’s Executive Committee, department leadership, ROAL, and staff. Alexander Casado, of Fayetteville, Ga.
Reagan Cloutier, of Escondido, Calif.
Anna Berger, of Oak Ridge, N.C.
Patrick McMonagle, Davenport, Iowa Amber Morrisett, of Edmond, Okla.
Eric Roberts, of Yankton, S.D. Carolyn Rosenblum, of Bluffton, S.C.
Sydney Smith, of Normal, Ill.
ROA salutes these winners, and expresses appreciation for all those scholars who applied for a scholarship. Applicants not selected for a scholarship, who submitted completed applications, have been notified by ISTS. “Resuming the Henry J. Reilly Scholarship program is one more important indicator of ROA’s revitalized strength,” said the association’s executive director, Jeff Phillips. “We thank our volunteer judges for their great work, and we look forward to awarding even more scholarships next year. ROA Executive Director Jeff Phillips testifying before the House Veterans' Affairs Subcommittee on Economic Opportunity with support from ROA Legislative Intern Ashwin Iyer. The House and Senate Armed Services Committees began marking up or editing the National Defense Authorization Act for Fiscal Year 2018. Since the last defense budget was extended through the end of April, lawmakers face an accelerated timeline to complete their bills before the fiscal year ends in October. The House is considering a $621.5 billion base budget with a $65 billion overseas contingency operations budget. In contrast, the Senate is considering a $640B base budget and $60B in overseas contingency operations funding, a $37B increase over President Trump’s proposal. President Trump nominated Thomas Bowman as Deputy Secretary of Veterans Affairs. Bowman currently serves as the Majority Staff Director for the Senate Veterans Affairs Committee. From a 2015 news release upon his joining SVAC, “Bowman joined the Senate VA Committee in 2014 as senior policy advisory under the ranking Republican in the last Congress, Senator Richard Burr, R-N.C. Bowman previously worked for the Department of Veterans Affairs for almost 10 years, including as chief of staff to U.S. Department of Veterans Affairs Secretaries Jim Nicholson and James Peake. Bowman’s VA Department role also included service to veterans in Isakson’s home state of Georgia when Bowman worked as a senior advisor to the director of the Veterans Affairs’ Sunshine Healthcare Network, which includes southeastern Georgia, Florida and the Caribbean. 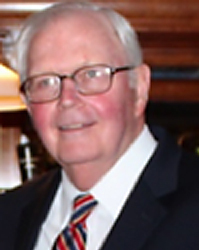 Bowman’s only break in service from the VA during the 10-year period from 2002 through his retirement in 2012 came when he served for one year as State Court administrator for the Rhode Island Judiciary and as chief of staff to the chief justice of the Rhode Island Supreme Court in 2003-04. Bowman’s “insider status” as a Senate staffer and solid reputation on the Hill should make for a smooth confirmation; though his nomination hearing has not been scheduled, it is likely his nomination will receive quick confirmation. 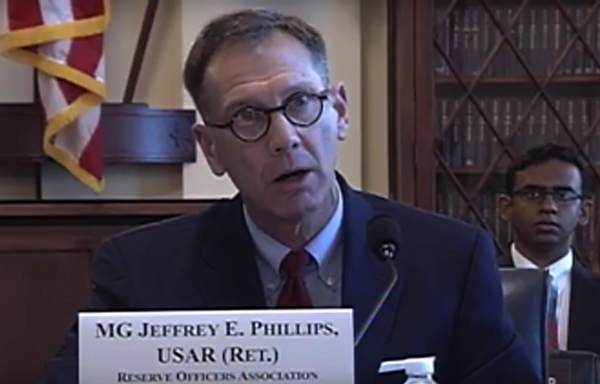 During his VA service, he and ROA’s executive director, Jeff Phillips, worked closely together as Bush Administration appointees. The U.S. Army Reserve has partnered with Hackensack University Medical Center to train Army Reserve medics. Titled Operation Hackensack S.M.A.R.T, the program’s expressed aim is to ensure Army Reserve medics are exposed to the most advanced medical training, techniques, and exercises. Partnering with Hackensack also saves the Reserves money since they do not have to lease medical facilities to train their soldiers. Rather, soldiers shadow their civilian counterparts over the course of two weeks as they rotate between different departments. The 335th Signal Command cohosted the Cyber X Games, an annual five-day US Army Reserve and civilian training exercise. It is intended to buttress cyber detection, response, and recovery. Around 48 military personnel participated in the exercise along with civilian cyber operators. Interacting with civilian counterparts is meant to inculcate best cyber practices for Army Reserve cyber operators. 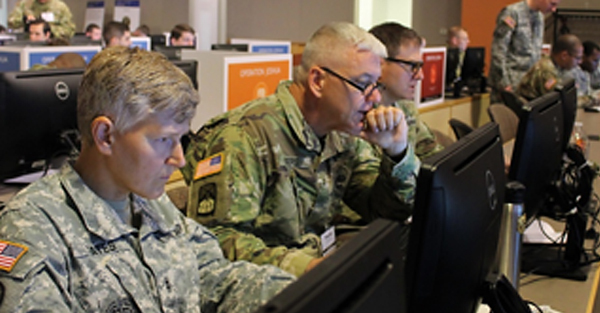 Various Reserve services are frantically building up their cyber protection teams to support U.S. Cyber Command and the wide array of both offensive and defensive cyber operations they execute. The challenge has been ensuring a talented cadre of cyber experts can be built up fast enough to keep up with demand. Cyber training exercises like Cyber X Games is one component of this process attempting to accelerate cyber reserve unit construction. CACI has been awarded a $21 million deal with the Navy to update the branch’s cybersecurity. CACI will support the Naval Facilities Engineering Command in upgrading the security of industrial control systems for America’s most critical infrastructure. These Navy industrial control systems are vital to the infrastructure and business operations of Naval facilities. CACI has the experience and expertise to deliver cutting-edge information assurance tools and processes that will enhance the cybersecurity of the Naval Facilities Engineering Command’s critical industrial systems. 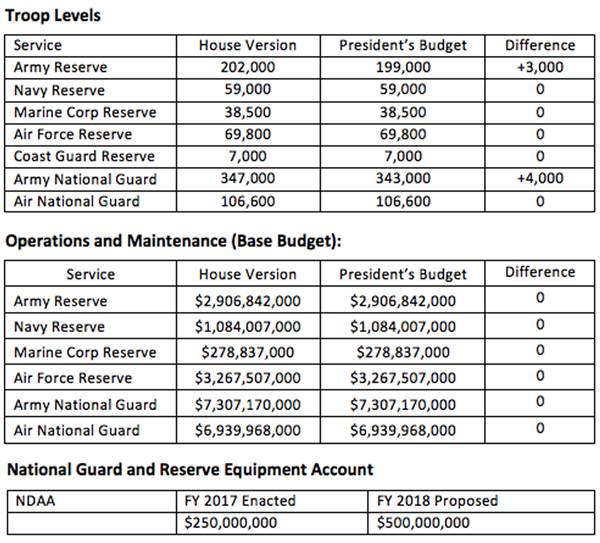 In the annual defense policy bill, the Military Personnel Subcommittee of the House Armed Services Committee recommends a 2.4% pay increase for troops, where President Trump called for a 2.1% pay raise. The recommendation from the committee will call for a budget of $640 billion, compared to Trump’s $603 billion. The Navy would add 4,000 active duty sailors and 1,000 reserves; however, the Marine Corps would remain flat. Senator Roger Wicker of Mississippi, chairman of the Senate Seapower Subcommittee, and Representative Rob Wittman of Virginia have rolled out legislation that aims for 355 ships in the Navy as soon as practicable. This goal is subject to Congress appropriating the money. Today’s U.S. Navy stands at 276 ships. Both lawmakers have been calling for the buildup for some time, which mirrors the Navy’s 355-ship assessment to meet the demand on its forces. To meet this goal, the Navy is looking to extend the service life of current ships by updating the hulls and combat systems for longer use, and taking ships out of mothballs to help reach the goal. House Armed Services Subcommittee on Strategic Forces introduced legislation creating a Space Corps. The Space Corps would be a separate military service and would handle the space assets and responsibilities currently under the U.S. Air Force. The Space Corps would be structured as a sub-unified-command under U.S. Strategic Command. Lawmakers introduced the Space Corps concept because they do not believe the Air Force is giving enough attention to space technology and asset development. Interestingly, and perhaps anticipating this criticism, Air Force Secretary Heather Wilson recently made a public commitment to prioritizing space investment. Whether her public assurances the Air Force is serious about space assuages the fears of House lawmakers remains to be seen. The Air Force Reserve 53rd Reconnaissance Squadron began flying their first hurricane detection missions for this tropical season. These missions involve low level investigations where WC-130J fly at low altitutdes-500 to 1,500ft-over a storm formation. Once it is determined whether the storm is forming a hurricane, the “Hurricane Hunters” will starting flying “fix” missions at higher altitudes to measure various factors affecting the hurricane’s strength and trajectory. WC-130J like the ones "Hurricane Hunters" use to detect hurricane formations and their strength. On July 1, 1867, the Commissary system was established providing access to produce at cost to both enlisted and officer servicemembers. From there, the Defense Commissary Agency has changed from local officers managing their commissaries to services centralizing management with a professional staff after WWII. In addition, the commissaries expanded their patrons from strictly soldiers to their spouses and dependents, further integrating military families into a support structure that promoted retention in the armed forces. Army & Air Force Exchange Service shoppers worldwide can enter to win one of three KTM motorcycles this summer during the Red Bull Motorcycle Sweepstakes. Authorized shoppers can enter at shopmyexchange.com/sweepstakes July 1 through 31. Three lucky winners will have their choice of either a KTM 390 Duke or KTM RC 390 motorcycle. For more information, visit http://bit.ly/2smCSOk. The Department of Homeland Security (DHS) is seeking veterans for hundreds of job opportunities in mission critical and mission support occupations across the agency. DHS has an immediate need to fill these critical vacancies, and is the ideal employer to maximize the skills and training you acquired while serving your country. The attached press release (text of which is embedded below) contains the full details. Please feel free to share this information with your respective members, chapters, constituents and other organizations as you wish. The National Park Service point of contact is Mr. Mike Litterst. Please direct any questions you may have to him at: mike_litterst@nps.gov or via telephone at 202-245-4676. Hilton Gardens, Columbus , Ga.